Newfoundland and Labrador's historic cod fisheries attracted local and international fishing fleets for almost five centuries before the Canadian government shut the industry down indefinitely in July 1992. By then, once-plentiful fish stocks had dwindled to near extinction and officials feared they would disappear entirely if the fisheries remained open. The moratorium put about 30,000 people in the province out of work and ended a way of life that had endured for generations in many outport communities. It also made evident the vulnerability of marine resources to overexploitation and that existing regulatory regimes were insufficient to protect cod stocks. Newfoundland and Labrador's historic cod fisheries attracted local and international fishing fleets for almost five centuries before the Canadian government shut the industry down indefinitely in July 1992. Photo by Atlantic Guardian. Source: Library and Archives Canada/National Film Board of Canada/PA-110814. A variety of factors led to the commercial extinction of northern cod in 1992. Increasingly efficient technology allowed fishers to find and harvest unprecedented amounts of cod, while stronger vessels allowed fleets from around the world to visit and work on the Grand Banks for months at a time. At the same time, regulations safeguarding cod stocks did not evolve alongside the world's ability to harvest fish, and governments or international bodies sometimes assigned quotas based on economic factors rather than ecological ones. 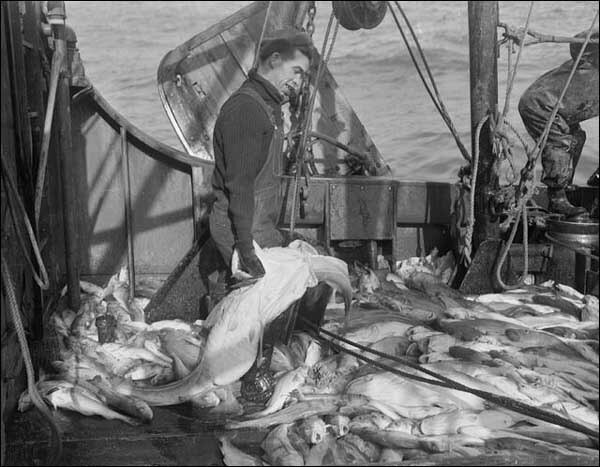 Although conservation became an increasing concern after the 1960s, officials consistently overestimated the size of cod stocks and, as a result, also overestimated the amount of cod fishers could harvest at sustainable levels. This resulted in an overexploitation of northern cod, which ultimately forced Ottawa to impose a moratorium. Before the moratorium, Newfoundland and Labrador fishers caught cod in inshore and offshore waters. The inshore fishery was a local industry that took place in the province's coastal waters, while the offshore Grand Banks fishery attracted fleets from around the world. International vessels were able to fish anywhere they liked on the banks until 1977, when Canada extended its jurisdiction to 200 nautical miles (370 km) from its coastline. This was an extension from its previous 12-mile limit, set by the 1970 Territorial Sea and Fishing Zones Act. Before that, Canada and many other countries defined their territorial waters as extending only three nautical miles from their coastlines – a convention dating back to the 18th century. Although the cod fishery supported workers for hundreds of years, a variety of changes occurred during the 20th century that made the industry much less sustainable than ever before. Foremost among these were advances in fishing technologies that dramatically increased the ability of fishers to find and harvest large quantities cod. These included changes to vessel and net design, as well as the introduction of electronic navigational aids and fish-finding instruments. In the inshore fishery, workers replaced small open boats with larger and more powerful decked vessels known as longliners. These vessels could travel further and faster than dories, punts, and schooners, allowing fishers to reach productive fishing grounds with greater ease than ever before. More efficient gear also became increasingly widespread in the inshore fishery during the 20th century and included large gillnets, box-shaped cod traps, and longlines – a single fishing line attached to hundreds of shorter baited lines. Longliners became increasingly popular in the Newfoundland and Labrador inshore fishery during the second half of the 20th century. Photo by Jenny Higgins. Reproduced by permission of Jenny Higgins. © 2009. However, it was in the offshore fishery that the most dramatic and ecologically devastating changes occurred. Steam and diesel engines became more widespread during the early portion of the 1900s and allowed trawlers (also known as draggers) to replace schooners on the banks. These vessels were larger, stronger, and more efficient than schooners and allowed crews to fish in almost any kind of weather. The onset of factory freezer trawlers in the 1950s and 60s brought even greater changes to deep-sea fishing. Alongside being the largest and most powerful vessels to ever fish on the banks, factory freezer trawlers could remain at sea for months at a time and were floating fish plants – workers could process and freeze hundreds of tons of fish onboard. Advances in sonar, radar, and other fish-finding technologies from the 1960s onwards made the fisheries even more efficient. Echo sounders, Loran C navigational aids, and other devices allowed fishers to locate and harvest the most productive fishing grounds with greater ease than ever before. Even as stocks dwindled, these technologies allowed fishers to track and harvest whatever concentrations of cod remained in inshore and offshore waters. As fishing technology became increasingly sophisticated, catch rates of northern cod steadily grew until they exceeded the stock's ability to rebuild. The largest catches occurred in the lucrative offshore fishery. Before Canada extended its 200-mile limit in 1977, trawling fleets from around the world harvested unprecedented amounts of fish on the Grand Banks. Most vessels came from North America and Europe – primarily the Soviet Union, Spain, France, and Portugal – although smaller numbers also arrived from Asia, the Caribbean, and elsewhere. Trawling fleets from around the world harvested unprecedented amounts of fish on the Grand Banks before Canada extended its 200-mile limit in 1977. 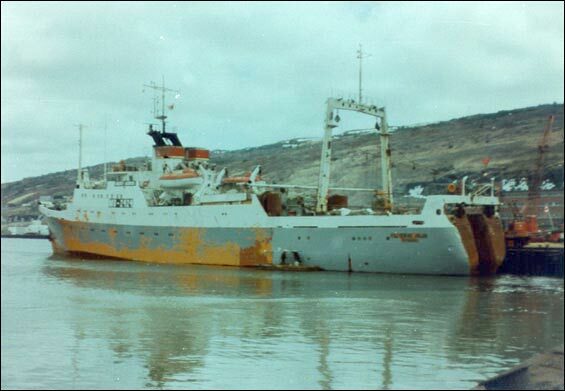 Courtesy of the Maritime History Archive (PF-001.1-M17a), Memorial University, St. John's, NL. As factory freezers grew in popularity, groundfish catches on the Grand Banks more than doubled from 360,000 tons in 1959 to a record-setting 810,000 tons in 1968; foreign fleets harvested about 80 per cent of the 1968 catch. Such heavy fishing on the banks severely depleted northern cod stocks in offshore and inshore waters, and catch rates steadily decline in the coming years. To help preserve cod and other groundfish, the International Commission for the Northwest Atlantic Fisheries (ICNAF) established catch quotas in 1970, which were known as Total Allowable Catches (TACs). ICNAF issued TACs it believed would equal the maximum amount of fish workers could take from the ocean without depleting the stock. By 1974, TACs existed for most fish species being harvested in the northwest Atlantic, including northern cod. Despite its efforts to manage the fisheries, the ICNAF overestimated the abundance of northern cod as well as the stock's growth rate during the 1970s and assigned TACs that were too high to be sustainable. Overexploitation by international fishing fleets forced the species into decline. Between 1962 and 1977, the harvestable biomass of northern cod dropped by 82 per cent, which resulted in a near collapse of the stock and of the industry. In an effort to protect endangered stocks, Canada, the United States, and several other coastal nations extended their jurisdictions to 200 miles beyond their coastlines in 1977. This gave Canada control over most fish on the Grand Banks, except for those on its southern and eastern tips (known as the nose and tail) and the Flemish Cap, all of which remained in international waters and therefore open to fleets from around the world. The Northwest Atlantic Fisheries Organization (NAFO) formed in 1979 to replace ICNAF and manage fish stocks outside Canada's 200-mile limit. One of the organization's first actions was to reduce TACs from 100 per cent of the maximum sustainable yield to about 60 per cent; Canada set similar quotas in its waters. Even after NAFO established lower TACs and Canada ended most foreign fishing within its 200-mile limit, overexploitation of northern cod in offshore waters remained a major problem throughout the 1980s. Many nations feared conservation efforts would result in economic losses – the fishery was one of the world's major employers and a drop in quotas would cause a similar drop in jobs and income. To avoid large-scale unemployment and economic hardships, Canada and other NAFO nations tried to keep quotas as high as possible. At the same time, Canada and NAFO continued to overestimate the abundance of cod in the Atlantic Ocean and therefore continued to set dangerously high TACs. This was in large part due to the widespread practice of calculating cod populations from catch rates in the commercial fishery – if fishers filled their quotas with ease, then officials believed the stock size was at adequately high levels. However, fishing technology had become so efficient by the 1970s that commercial catch rates remained high even as the cod population dropped to dangerously low levels. Electronic tracking devices could find fish no matter how small their numbers and trawlers could harvest most species with relative ease. Fisheries science conducted within the federal Department of Fisheries and Oceans (DFO) contributed to overfishing and stock depletion by consistently providing possible overestimates of the abundance of northern cod from the late 1970s through the 1980s. This in turn allowed policy makers to set quotas that were too high to maintain the stocks. Although the department announced in 1982 that cod stocks were rebuilding and forecast a long-term sustainable yield of 550,000 metric tons, a 1989 internal review revealed DFO had overestimated cod populations by as much as 100 per cent during the decade leading up to the moratorium. A variety of factors contributed to the errors in cod stock assessments. Fisheries scientists based their stock assessments on data gathered almost exclusively from commercial trawlers, but failed to analyze the impact that increasingly efficient technology had on stock sizes. They also omitted from their calculations the number of undersized cod offshore fishers discarded, which resulted in low estimates of mortality from fishing. Although inshore fishers reported cod were decreasing in both size and number, DFO scientists ignored this information and instead focused on the offshore sector. Nor did they recognize that northern cod are divided into sub-populations that may function differently from one another in the complex environment of the continental shelf. As a result, fisheries scientists based their cod-stock assessments on oversimplified models of population and ecosystem dynamics. Illegal fishing and overexploitation on the nose and tail of the Grand Banks persisted throughout the 1970s and 80s. Although NAFO assigned catch quotas in this region, some nations regularly exceeded their assigned limits. After Spain and Portugal joined the European Union (EU) in 1985, the multinational group asked NAFO to raise TACs from 60 to 100 per cent of the maximum sustainable yield. NAFO declined and the EU decided to opt out of the organization's conservation policies. It set its own quotas from 1986 onward at levels much higher than NAFO limits – the EU's harvest of cod, flounder, and redfish from 1986 to 1991 was five times the NAFO quota. Some countries avoided NAFO regulations altogether by registering their vessels to non-NAFO nations and flying flags of convenience. Spanish vessels, for example, have at times been registered to a variety of nations, including Panama, Mexico, and Venezuela. Illegal nets were another problem forcing cod stocks into decline. To prevent young fish from being harvested alongside mature cod, NAFO imposed a minimum mesh size on trawler nets; these would trap large fish, but allow smaller ones to pass through unharmed. As large fish became increasingly scarce in the 1980s, some vessels targeted young fish by adopting small-mesh nets. Although overfishing in international waters did tremendous damage to northern cod, Canada also failed to maintain a sustainable fishery within its 200-mile limit. The government ignored warnings from inshore fishers and university scientists that cod stocks were in danger and chose to maintain quotas instead of scaling back the fishery, in large part to prevent economic losses and massive unemployment. By the early 1990s, after decades of sustained intensive fishing from Canadian and international fleets, the northern cod stocks collapsed. The spawning biomass of northern cod had dropped by about 93 per cent in only 30 years – from 1.6 million tonnes in 1962 to between 72,000 and 110,000 tonnes in 1992. In July of that year, Canada imposed a moratorium on the catching of northern cod and ended an international industry that had endured for close to 500 years. 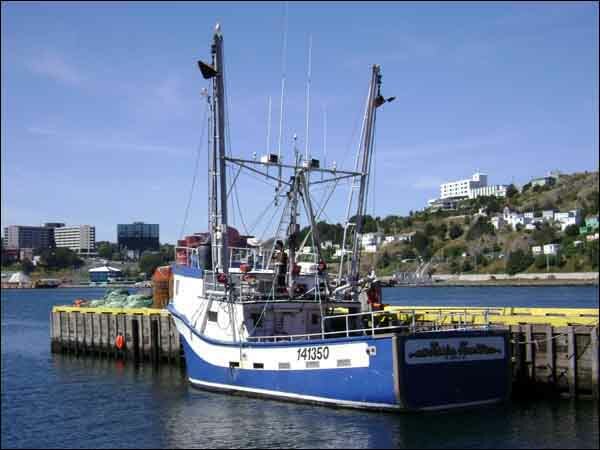 Although Ottawa has since then permitted occasional summer food fisheries for cod, it remains uncertain, as of 2008, when or if the stocks will rebound and the moratorium end.